The fact that copper is essential to life is well known, but it’s also a toxic metal, and that toxicity, except for the genetic overload diseases, Wilson’s disease and hemochromatosis, is not so well known. Humans can become copper-toxic or copper-deficient, often because of “copper imbalance” (which can include arthritis, fatigue, insomnia, migraine headaches, depression, panic attacks, and attention deficit disorder) . Copper has been used for centuries for disinfection, and has been important around the world in technology, medicine and culture. Is copper in the environment a health risk? There are no studies on what this increased copper is doing to the environment. Copper is listed as an EPA Priority pollutant, a CA Air Toxic contaminant, and an EPA Hazardous air pollutant (see http://wsppn.org/PBT/nolan.cfm#What%20are%20PBTs? ); it is also a Type II Moderate Hazard by the WHO Acute Hazard Ranking . There is NO DATA on its carcinogenity, whether it is a developmental or reproductive toxin or endocrine disruptor or whether it contaminates groundwater. Today, because of its long use as a disinfectant and because it’s required for good health, many claims are being made about using copper in various products – including fabric. Copper-impregnated fibers have been introduced, which enables the production of anti-bacterial and self-sterilizing fabrics. These copper infused fabrics are marketed to be used in hospital settings to reduce infections, as an aid to help those suffering from asthma and allergies provoked by dust mites, and in socks to prevent athlete’s foot. And then there’s this: “…(copper) toxicity is so general in the population that it is a looming public health problem in diseases of aging and in the aging process itself. 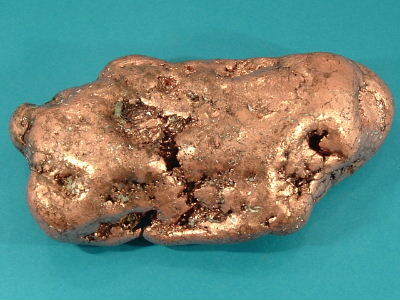 Diseases of aging such as Alzheimer’s disease, other neurodegenerative diseases, arteriosclerosis, diabetes mellitus, and others may all be contributed to by excess copper (and iron). A very disturbing study has found that in the general population those in the highest fifth of copper intake, if they are also eating a relatively high fat diet, lose cognition at over three times the normal rate”. Sometimes safety is cited because of the widespread use by women of copper intrauterine devices (IUDs). But the copper IUD was developed only in 1970; that timeline would put those first users only in their 60s today. How can we know that the copper has not influenced any health problems these 60 somethings may now have? In addition, about 12% of women have the copper IUD removed because of increased menstrual bleeding or cramping. There are also cases of increased menstrual cramping, acne, depression and other symptoms attributed to the copper IUD. The fact that we keep ignoring is that the body, like our ecosystem, is a highly complex, interconnected system. It is extremely hard to single out any one element as contributing to a series of causes and effects. Although copper does have documented antimicrobial properties, it is a broad spectrum antimicrobial – meaning that it kills the good guys as well as the bad. Many studies show that this is not necessarily the best approach to infection control. Kaiser Permanente issued a December 2006 memo with this bottom line: “Review of current scientific literature reveals no evidence that environmental surface finishes or fabrics containing antimicrobials assist in preventing infections.” In fact, their policy now is to prohibit any fabrics with antimicrobial finishes in their hospitals. Copper impregnated fabrics are legally sold in the USA, because the EPA has not issued any regulations regarding use. The reality is they don’t have any data on which to base an exclusion of use. In the US we must prove toxicity before the EPA even begins to regulate chemicals – look at the case of lead. Other organizations have evaluated copper (including the EPA, see above). So really the question is: what possible benefit do you hope to achieve by using a product with this antimicrobial finish? Although copper isn’t one of the most alarming chemicals used in textile processing, it seems to me the benefits just aren’t that compelling. I wouldn’t risk altering my DNA or subjecting myself to copper imbalance symptoms just to eliminate stains or odors. Brewer, George J., “Risks of Copper and Iron Toxicity during Aging in Humans”, Chemical Research in Toxicology, 2010, 23 (2), pp. 319 – 326. Zieman M, et al. (2007). Managing Contraception for Your Pocket. Tiger, GA: Bridging the Gap Foundation. Copper is an essential trace element that is vital to life. The human body normally contains copper at a level of about 1.4 to 2.1 mg for each kg of body weight; and since the body can’t synthesize copper, the human diet must supply regular amounts for absorption. The World Health Organization (WHO) suggests that 10-12 mg/day may be the upper safe limit consumption. Sometimes safety is cited because of the widespread use by women of copper intrauterine devices (IUDs). But the copper IUD was developed only in 1970; that timeline would put those first users only in their 60s today. How can we know that the copper has not influenced any health problems these 60 somethings may now have? In addition, about 12% of women have the copper IUD removed because of increased menstrual bleeding or cramping. There are also cases of increased menstrual cramping, acne, depression and other symptoms attributed to the copper IUD. The fact that we keep ignoring is that the body, like our ecosystem, is a highly complex, interconnected system. It is extremely hard to single out any one element as contributing to a series of cause and effect.